Boyd Gavin received his BA from University of Santa Cruz, and his MA from California State University, Sacramento. Gavin paints in a very straightforward manner, with a loose brushstroke and bright palette that lends itself well to painting small, easily recognizable objects such as crayons and marbles. 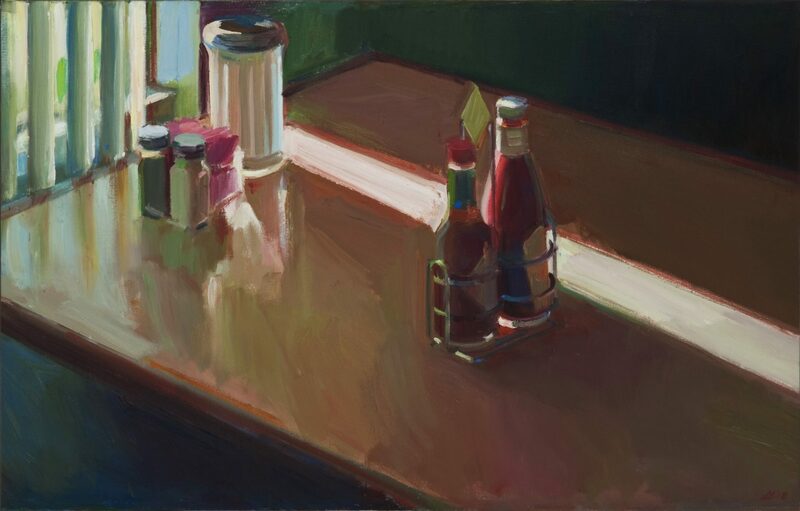 Gavin remarks, “I’m drawn to the quirky shorthand style of artists like Fairfield Porter or David Park, who seem to invest even the homeliest of subjects with an offhand grandeur.” Along with Porter and Park, Gavin’s influences include Wayne Thiebaud, Greg Kondos, and Richard Diebenkorn—artists whose work similarly reflects a uniquely Californian brightness and ease. 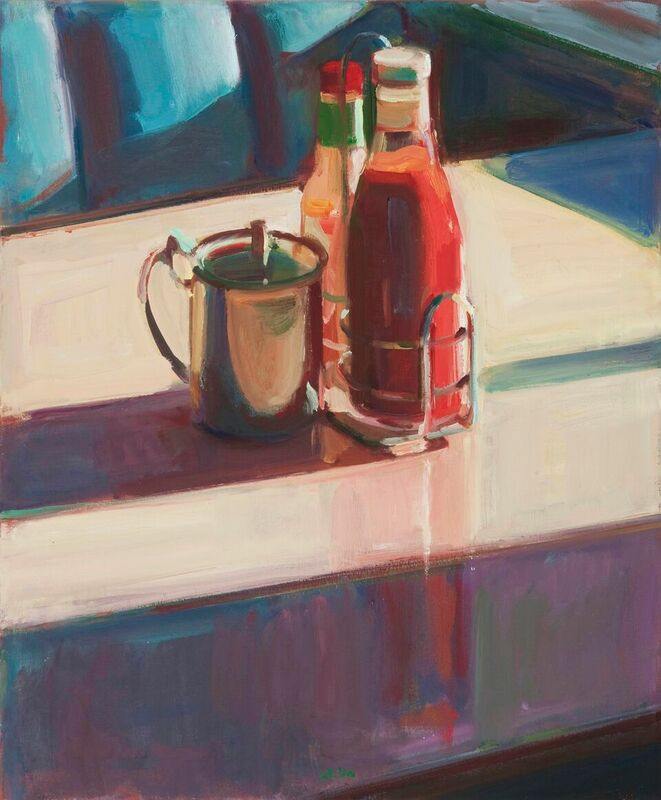 Sarah Lam received her BA in both Fine Art and English from the University of California Davis, where she took classes from Wayne Thiebaud and David Hollowell. 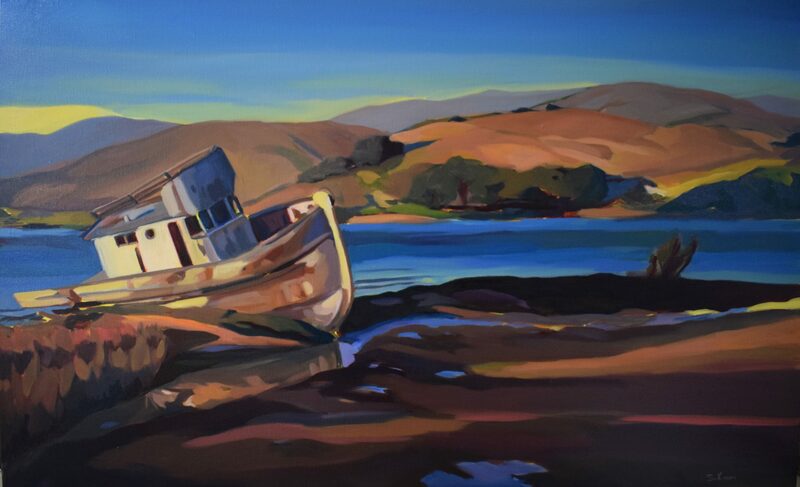 She is currently working on her Masters of Fine Arts degree from the Academy of Art University in San Francisco. She is also teaching High School Art full time, riding her horse Winnie and taking care of her young family. 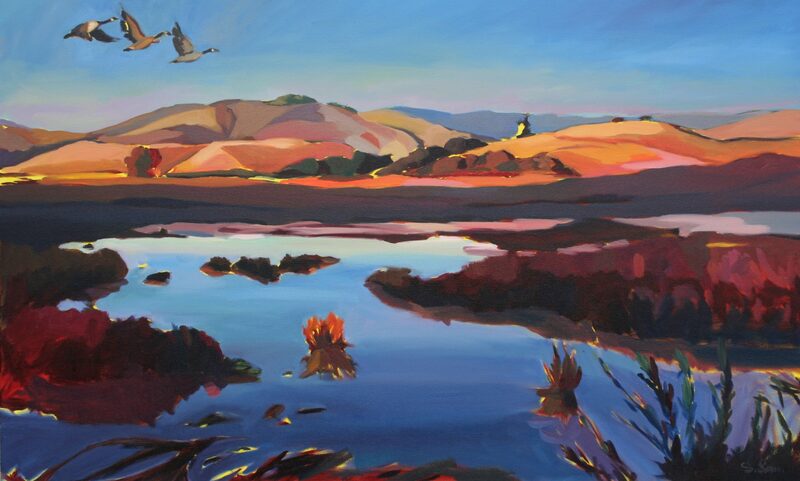 California artist, Sarah Lam works both in plein air and in the studio to complete her colorful landscape and animal paintings. 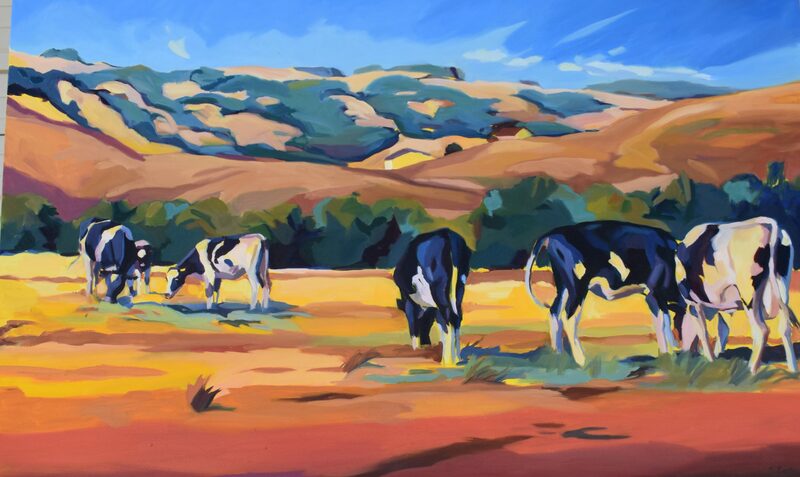 Preferring the outdoors, Sarah is drawn to local landscapes and rural scenes. 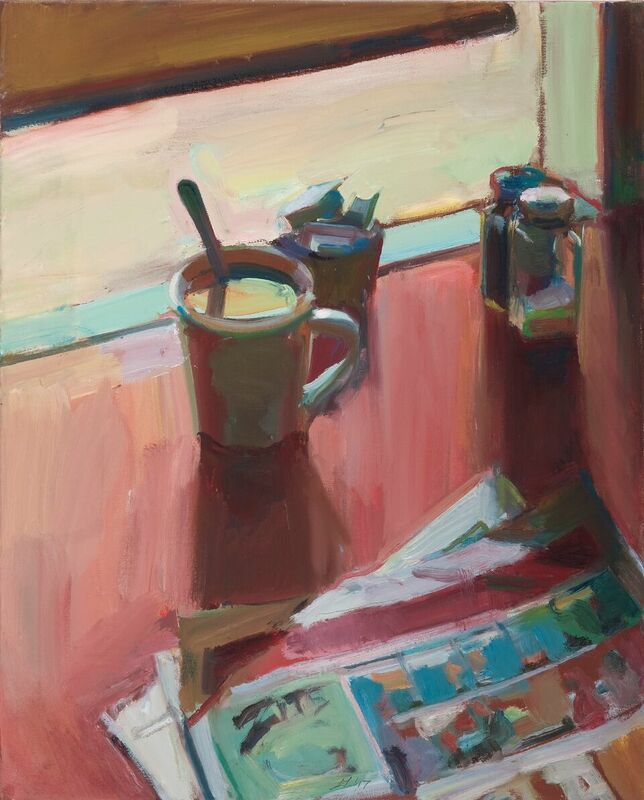 Recently, Sarah started competing successfully in national plein air competitions, where her paintings have received several prestigious awards. Sarah’s work has been displayed in galleries and appeared on the cover of several magazines. 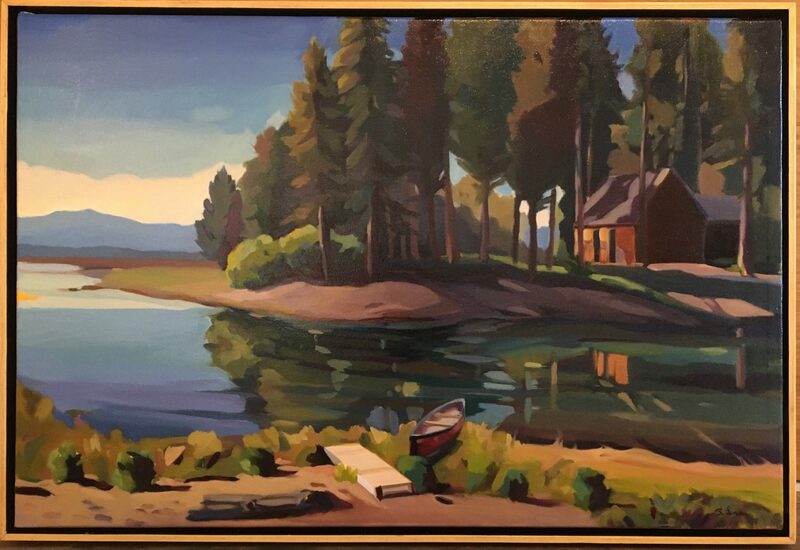 Boyd Gavin Dark Cafe, 2018 Oil on Canvas, 29" x 45"
Boyd Gavin Cafe Still Life, 2016 Oil on Canvas, 27.5" x 22"
Boyd Gavin Sunday Cafe, 2017 Oil on Canvas, 30" x24"
Sarah Lam Truckee River Meets Lake Tahoe, 2017 oil , 24"x36"
Sarah Lam Tomales Bay Reservoir, 2016 oil on canvas, 30"x40"
Sara Lam Cows Grazin Petaluma Hills, 2016 oil on canvas, 30"x 40"